Ancient Rome was one of the largest empire of its time, primarily based around the Mediterranean. 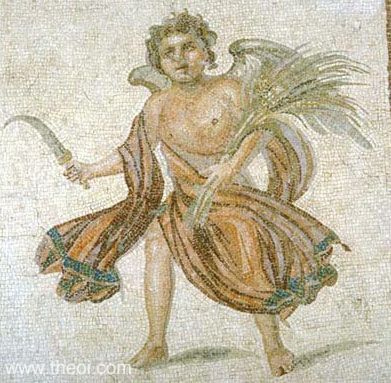 Naturally, much of the food and drink habits of the ancient Romans were influenced by popular sustenance grown in the Mediterranean region – the primary food item being wheat. Romans typically had three meals a day – jentaculum was their breakfast, prandium was the name for their lunch and cena or dinner used to be the main meal. The food and drinks served for the main course varied according to the Roman classes. The eating habits of rich Romans were far too lavish and grand when compared to that of an ordinary Roman peasant. The well-to-do Romans could afford the best of the meals and loved throwing dinner parties that lasted for hours. Regardless of such divergence in appetite, the overall ancient Roman diet primarily consisted of a certain set of cuisines. 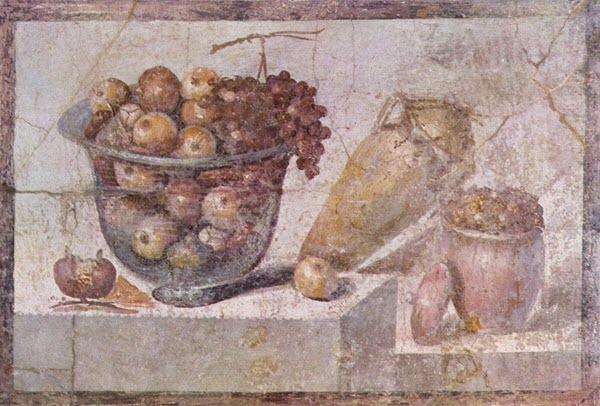 Here is a list of top 10 ancient Roman foods and drinks that made up their cuisines. Barley was an essential staple in the ancient Greek culture since it made up a large portion of the diet for the athletes. The Roman athletes followed their suit and made barley an integral part of their training diet. It was especially famous among the Roman gladiators who were also known by the name of hordearii which meant “Eaters of barley” or “Barley men”. 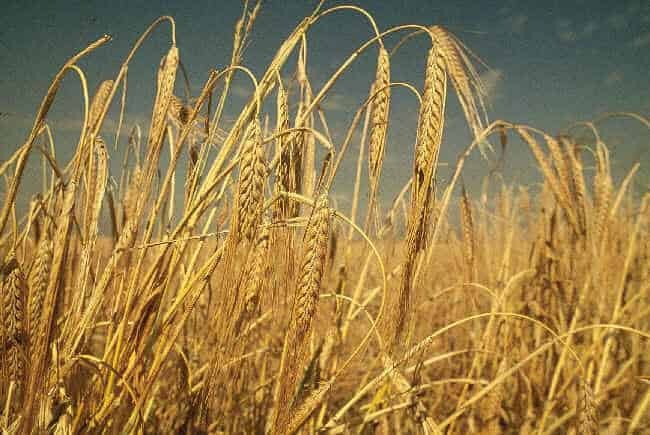 Barley, being a rich source of carbohydrate, helped them gain weight and maintain a spectacular physique to please the crowds. The gladiators were served barley as a sprouted gruel and a similar barley gruel meal was also served in the Roman army as a staple food. Sprouting helped transform the hard barley grains into a paste of easier-to-digest dense food which came along with the added bonus of nutrient surplus. Cultivation of barley was far easier since barley crops are more adaptable and resistant. The Romans wasted no time in reaping all these benefits – barley was most used grain in the Republican era of ancient Rome. A popular commodity among the Romans, olive oil became even more common in Roman kitchens, when Roman emperors began to actively support olive tree plantations and olive oil production. As a vegetable, olive was one of the most commonly grown food item in the Mediterranean region. It also had a symbolic attachment to ancient Rome since the olive leaves and its branches represented peace, fertility and prosperity. Upon that, the Romans used olive oil for various purposes. Most of the rural Romans would either boil their food or fry it in olive oil. Most of the diets in Roman military were cooked in olive oil and vinegar. It also was a major ingredient in some of the most popular sauces used in ancient Roman cuisines. But olive oil was not just confined to Roman eating habits, it was in fact a part of their daily lifestyle. They used it in lamps, and even used it to cleanse their bodies in baths (Roman people did not have soaps). Posca was a popular drink among ancient Roman soldiers and poor peasants. It was usually made by watering down low quality wine and then adding spices to make it taste better. The Roman legions used to receive a lot of vinegar in rations. The soldiers used to add water to the vinegar to turn it into drinkable posca. Water, sanitation in those times was quite sub-standard and normal drinking water was usually contaminated. This only added to posca’s popularity as its acidity killed most of the germs and kept the drink from early stagnation. The Roman legions were known to carry huge barrels of posca wine during their military campaigns. Drinking good wine while in the army was taken as a matter of bad reputation and against the discipline. So high ranking generals would also drink it together with troops to show their allegiance to the legion. Even the great Hadrian always drank posca when in campaigns, to show his men he was one of them. Fruits also made up a major part in the daily diets of the ancient Romans. Popular fruits like apple, figs, grapes, pear, plums, dates, cherries, and peaches were easily available in the Mediterranean region. Moreover, many of the fruits used to be dried to increase their edible life. The juicy fruits like grape and cherries were used for making wine. One of the most popular fruit among all Romans alike was Carob. It can be taken as an equivalent to modern day cocoa and was frequently used to add its chocolate like flavor to various cuisines. In its earliest of use, the carob pods were eaten raw straight from the tree. And just like many other delicacies, the Romans learned the various uses of Carob from the culinary practices of the ancient Greeks. Unlike the rich Romans, the common peasant diets were more dependent on vegetables than any other food items. The staple vegetables were the legumes which consisted of three primary legume items – beans, lentils and peas. They were often mixed into bread and since they were much easily available sources of protein, these legumes became a routine item in Roman meals. Things were little different for the affluent Romans though. Vegetables like asparagus, artichokes, beets, cabbage, turnips, carrots, chard, turnips, onions, leeks and cucumbers were often used as appetizers or as starters in their lavish dinner parties. Olive was another major staple vegetable, and also the source of much popular olive oil. Just like with the fruits, the Romans would also store vegetables in brine, vinegar or preserved wine as pickles. The ancient Romans were almost inexplicably fond of sauces and spices with their meals. For the poor Romans, much of their meal was bland and boiled paste of available staples like wheat, barley and vegetables. So adding a little sauce and spices in the mix helped them have a cuisine that equally excited their taste buds. 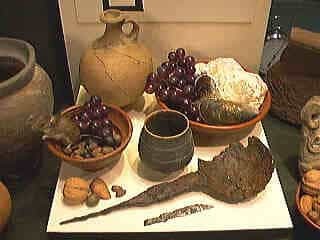 Again, a rich Roman’s dining habits included pretty much every popular variety of sauces and exotic spices he could purchase. 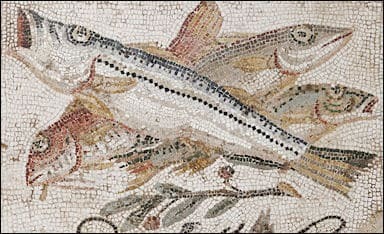 One fish condiment based sauce by the name of garum was particularly famous among the Romans. They would first make a brine of fish intestines, then crush the mixture and leave it for fermentation for weeks until it was ready for serving. They also used a wide range of spices such as pine kernels, leeks, celery seeds, parsley, capons, dried mint, safflower, coriander, dates, honey, vinegar and broth to season their cuisine. Bread was quite popular staple food in the ancient Roman times. In fact, the Romans started baking bread as early as 300 BC and soon realized the perks of baking wheat and other flour over serving them as a gruel or paste. Soon, consumption of bread gained so much popularity that in 168 BC, the first of Bakers Guild was formed. And within 150 years, more than three hundred specialist pastry chefs were already serving in Rome . As baking flourished, more varieties of breads were made – the difference in their quality depending on the flour being used, the fineness of grains and the mills used for grinding the flour. Furthermore, legumes, milk, egg and butter were also added to bread to make it more nutritious and better in taste, but such surplus breads could only be afforded by the rich citizens. Meat used to be an expensive consumption item in ancient Rome (at least for the poor Roman peasants), so the common people preferred buying it in small pieces and used to get a major share during the festivals. Meat used to be more exclusive to the rich since they could afford pretty much anything. So naturally, a variety of meat items used to be served in the grand dinner parties the rich Roman families used to throw on occasions. Primary meat sources were poultry, wild game such as rabbit, hare and boar. It further extended to a variety of birds like geese, ducks, blackbirds, doves, magpies, quails and woodcocks. The meat of flamingo, peacock and ostrich were considered quite exotic – their presence at the dinner was taken as a matter of honor for the house owner. They also had a taste for fish, especially the ones found in the Mediterranean, which they ate fresh, dried, salted, smoked or pickled. Wine was such a popular drink among the Romans that it could be called their national drink. They utterly despised beer since it was a popular drink among the barbarians, Brits and Celts; so naturally wine was the best choice to prefer. The Romans always had their wine diluted in water since it drinking straight wine was not in their culture. Much like their cuisines, the wine they consumed also came in varieties – the popular ones being black, red, white and yellow wines. The first course of dinner in households was usually accompanied by mulsum – a slight variation of regular wine made by mixing honey with it. Clearly, there was an ever increasing demand for wine in ancient Rome which gave rise to wine production especially around the border between Latium and Campania in Italy. Some of the vintage wines like Caecuban, Setian, Falernian and Massic came from wine producers in these areas. One of the most primary food item in ancient Rome, wheat was an essential ingredient in most of the meals and cuisines of the Roman people. Wheat flour was used to bake the best of the breads. It was also used to prepare the porridge meal and pancake biscuits. All three primary meals used to have one or more food items made up of wheat. Wheat pancakes with dates or honey was a common diet for breakfast, wheat breads and cheese were usually taken for lunch and wheat porridge was almost always on the dinner menu for Roman households. On the downside, wheat breads were rather expensive than bran breads, so the common people used to give more preference to the later, while best quality wheat breads became the first choice staple for the rich folks. The early Romans were not the biggest and grandest of the eater, but as the empire gained stability, their culinary habits also expanded along with the expansion of Roman civilization. There was a time when most of the Romans had to gratify their appetite with porridge made of barley or wheat. But soon, there was a surplus of resources as the empire kept on expanding. A stable governance meant almost everyone could access sustenance with ease. Not to forget, the Romans made the most out of baking practices they learned from the Greeks and the Egyptians. It was under the Roman era that the bread production attained new heights and their love for bread, gave the biggest boost to the baking industry.